The Singapore racing industry is on the cusp of a major paradigm shift as it moves into a bold new direction come the 2018 racing season. To keep the industry sustainable well into the future, the Singapore Turf Club is introducing initiatives which will inject much excitement and drive key changes to the local racing scene. To ensure good field sizes and competitive races, 800 races are mapped out for the 2018 season, down from the current season’s 900. This optimal number of races was derived after weighing up the median number of runners per race versus a projected horse pool of 1,250 horses. One significant measure which will be implemented from next season is a one-off increase of five rating points for all horses across the board. This one-off increase in rating points will increase the horse numbers in the higher Classes and lower the numbers in Class 5, thus providing sufficient number of horses to enable more higher classes of races to be programmed. Horses, however, will not be disadvantaged by the five points increase as they will all still be racing against the same horses, carrying the same weight differentials. The aim is to achieve bigger field sizes (10 to 12 starters) in higher classes coupled with an increase in the number of Class 3 and 4 races and a reduction of Class 5 races. Over time, this will encourage the influx of better quality horses as there will be more higher class races being staged. The one-off increase in ratings of horses will be carried out at the end of the 2017 racing season. Another significant measure to give the racing programme a ‘racier’ edge is to cap race distances at 2000m as Singapore-based horses are more competitive over shorter distances. Prizemoney for Singapore races will be adjusted to favour and encourage quality. At the top end, Group 1 and Group 2 (with the exception of the Aushorse Golden Horseshoe) races will carry minimum prizemoney of $1 million and $500,000 respectively. The two richest feature races, the $1.35 million Group 1 Singapore Gold Cup and the $1.15 million Group 1 Emirates Singapore Derby will remain at that level while the other Group 1 races will be carrying prizemoney of $1 million each. They are the Kranji Mile, Raffles Cup, Singapore Guineas, Queen Elizabeth II Cup, Lion City Cup and Patron’s Bowl while Group 2 races that will be worth $500,000 each are the Merlion Trophy, Singapore Three-Year-Old Classic, EW Barker Trophy, Stewards’ Cup and Chairman’s Trophy. At the other end of the spectrum, prizemoney for Class 5 races will be adjusted, again to emphasise on quality. Prizemoney for Class 5 races will drop from $35,000 to $20,000. This drop in prizemoney for Class 5 races however would only affect a small number of horses as about half of the horses presently in Class 5 will be eligible to race in the Class 4 Non-Premier races. Class 4 races will be divided into Premier and Non-Premier divisions with Class 4 Premier races carrying the present prizemoney of $60,000 and Class 4 Non-Premier races (catering to low-rated Class 4 horses) will carry prizemoney of $45,000. The prizemoney changes will take effect from 1 January 2018. The Club will reintroduce two international races over the distances of 1200m and 1600m in 2019 and will carry purses of $1.35 million and $3 million respectively. 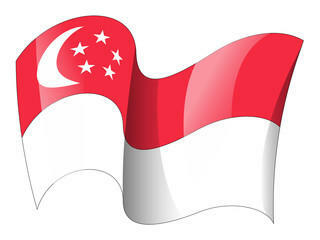 The two races will be staged on the third Sunday of May, the same time slot occupied by the previous International races, the Singapore Airlines International Cup and KrisFlyer International Sprint. The international races will only be reintroduced in 2019 to allow time for owners to invest in horses that will be competitive in those races. The Group 1 Kranji Mile race will be brought forward to May and will be held on the same day as the Group 1 Lion City Cup to create an exciting day of racing catering to the top horses in Singapore. The Chairman’s Trophy with a new distance of 1600m will also be brought forward in the first week of May to serve as a lead up race to the Kranji Mile. Consequently, the races for the Singapore Triple Crown series will be changed with the Raffles Cup (new distance of 1600m) becoming the first leg instead of the Kranji Mile. The Queen Elizabeth II Cup (1800) will become the second Leg while the Singapore Gold Cup (2000m) remains as the final Leg.